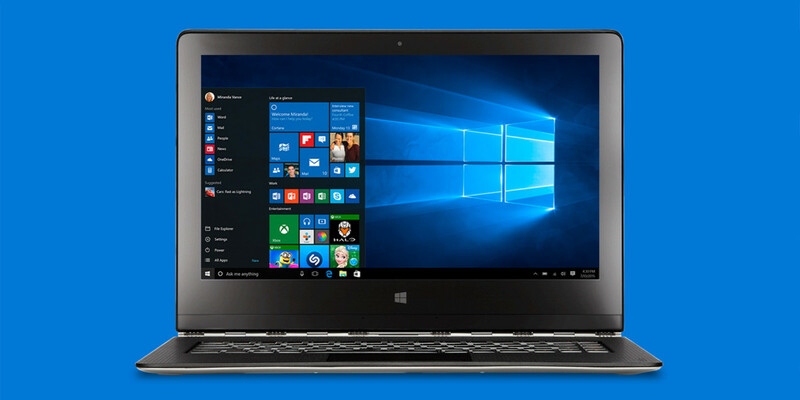 The free upgrade period for Windows 10 has ended (no more popups!) but should you want to do it, it's still possible... just as expected. If you delayed the Windows 10 upgrade till it was too late, you'll still be able to do it, even though we're past the July 29th date. And you won't even have to resort to set back the clock on your computer to a previous date (which seems to be working), as Microsoft itself provides an easy workaround that fulfills what we've always suspected: allowing users to upgrade to Windows 10 for free even after the official end date. 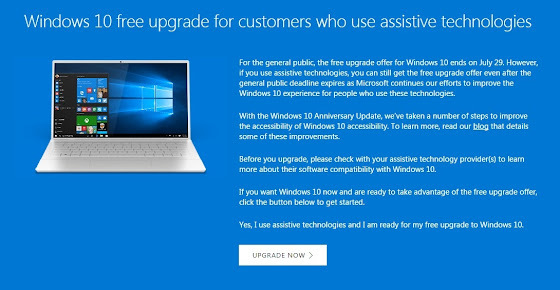 Microsoft has created an exception for assistive technologies users that allows them to still upgrade to Windows 10 for free. Best of all, you don't actually need to use any assistive technology, as MS simply takes your word for it and you just have to say you do. Since the very beginning we said Microsoft only devised the "free upgrade period" as a way to pressure users into upgrading to Windows 10; and this loophole basically confirms it. The Windows 10 free upgrade period has ended... but you'll still be able to upgrade any time you want... for free.